The outlook for bulk carrier safety is finally brightening, writes Michael King. Indonesia is not the only liquefaction danger area. Numerous incidents of variable seriousness have occurred over the last decade after vessels loaded susceptible cargoes in India and the Philippines during the wet season. However, since the 49,675dwt Panama-flagged, Rina-classed, Harita Bauxite sank with the loss of 15 lives in February 2013 after loading nickel ore in Indonesia during heavy rain, there has been no loss of lives at sea linked to liquefaction. Indeed, there seems some recent evidence that the bulk carrier sector is enjoying an upturn in its safety fortunes. Nine bulk carriers were lost in total during 2013 (see table) along with 25 lives — including those on the Harita Bauxite. But so far in 2014 the only bulk carrier loss recorded by Intercargo was the Panama-flagged Rich Forest, which lost propulsion 440 miles west of Guam earlier this year after flooding in the engine room. All the crew were saved. The dangers of liquefaction have been recognized both at IMO, which has developed improved loading guidelines, as well as by insurers and responsible owners keen to avoid further losses. But the industry’s safety record has also been given a boost by policy-makers acting in pursuit of other ends. India, for example, has been limiting its iron ore exports, in part to feed its own steel industry but also to curb illegal mining. It also took steps to improve safety after a number of iron ore fines liquefaction incidents during the monsoon season culminated in the losses of the Asian Forest and the Black Rose in 2009. Insurers have warned owners that any increase in India’s iron ore fine exports should be treated as a serious cargo risk and all precautions taken, especially during heavy rains. However, Indian iron ore exports were down some 41% year-on-year in the quarter ended 30 June on the back of lower global spot prices and improving domestic prices, allied to ongoing bans in a number of states. As things stand, the danger of more casualties due to liquefaction of Indian iron ore fines remains low. In Indonesia, meanwhile, succour has come from an export ban on a number of minerals including nickel ore, the major global cause of dry bulk carrier casualties in recent years due to its susceptibility to liquefaction and the fact that many of Indonesia’s load ports are poorly run and located in remote locations where failures to follow cargo moisture testing regulations were common. The ban on unprocessed mineral ore exports is designed to encourage miners to build smelters in Indonesia to boost economic growth and job creation rather than to improve bulk carrier ship safety, but exports of nickel ore have all but stopped. There have been suggestions that a new administration elected in July and led by President Joko Widodo — commonly known as Jokowi — could overturn the ban to boost Indonesia’s balance of payments performance, a move that would once again turn Indonesia’s island ore ports into places to fear for seafarers. As DCI went to press, Jokowi had so far been non-committal on the export ban. However, it is worth noting that his popularity stems primarily from his common-sense approach to business and his status as an outsider — he is not part of Indonesia’s traditional economic elites which have long- dominated both mining and political circles. The most recent evidence that the export ban is proving beneficial for economic policy could prove a blessing for maritime safety. For example, after government back-downs during the tenure of President Susilo Bambang Yudhoyono on a number of policies that impacted miners, a recent Morgan Stanley note hailed the export ban a major success because it had encouraged Chinese companies — the main consumers of Indonesia’s mineral exports — to invest in downstream processing plants now they were convinced the ban would remain in place. Indonesia’s Investment Coordinating Board confirmed that since the ore export ban was enforced at least 50 planned smelter projects had been announced, investments worth US$31.4 billion. Xavier Jean, an analyst with ratings agency Standard & Poor’s, said Indonesian policymakers’ hard line stance on the export ban had forced all miners — even those not impacted by the ban — to reconsider their bargaining power with Indonesia’s government. “Have the economic consequences in terms of employment, tax and royalty receipts and exports been worse than the government expected? I don’t think so,” he said. Rajiv Biswas, Asia-Pacific Chief Economist at IHS, said that even though exporters of copper had reached agreements with government to allow some exports, this was not indicative of a change in policy on the overall export ban which would lead to a resumption of nickel ore exports. “Freeport has come to a deal with the Indonesian government to resume copper concentrate exports and the first shipment to China was due to have been shipped on 6th August,” he told DCI. “The deal agreed by Freeport is that it will pay a 7.5% export tax that will gradually decline as it begins spending on construction of a copper smelter. In recent years it has been impossible to examine bulk carrier safety without spotlighting the tragic and frequent loss of life due to the liquefaction of cargoes such as iron ore fines and nickel ore. But now, at last, the convergence of reason and luck is offering cause for optimism. On the one hand, regulators, insurers and bulk carrier owner representatives have been bolstering safety guidelines for dangerous cargoes. And, on the other, the danger posed by cargo liquefaction is receding due to changes in government policies in producer countries which are having the fortunate side-effect of reducing the volume of dangerous cargoes loaded. There are now early signs that the danger posed by liquefaction maybe lessening, although it is far too early to suggest it has entirely diminished and further mineral reform in exporting countries could rapidly alter the safety landscape for the worse. To recap, five bulkers have been lost and 81 seafarers have perished since late 2010 after the vessels were loaded with nickel ore in Indonesia and set sail for China. The losses transformed this low-volume trade into the world’s deadliest shipping lane, irrespective of ship type. Each of the losses on the trade was attributed to liquefaction of the cargo, a chemical process which effectively transforms minerals loaded with excessive moisture into sludge when subjected to the sort of vibrations that commonly occur at sea, and which can easily be prevented by following strict loading guidelines. “Another big international copper mining company in Indonesia, Newmont, is still in discussions with the Indonesian government and had not yet restarted its copper concentrate exports as of early August. “However, none of this alters the overall Indonesian mineral export ban policy and the Freeport deal is really an interim solution during a transition to downstream processing in Indonesia.Therefore it is likely that Jokowi will continue with the mineral export ban, which widens in scope in 2017. All of which bodes well for bulk carrier safety. Intercargo manager, David Jones, also sees additional cause for optimism, not least efforts his organization and others are making to improve risk analysis of casualties and ensure investigation reports are more easily accessible. Intercargo’s latest IMO Bulk Carrier Casualty Report was submitted to the IMO Sub-Committee on the Implementation of IMO Instruments which met in mid-July. It showed that over 2004–2013 the average number of bulkers and seafarers lost each year was 7.1 and 26, respectively, up from 6.6 vessels and 23 lives lost over 2003–2012. However, Jones believes progress is being made despite the upturn.“Our paper to IMO suggests that 2013 marked a small upturn in the numbers of bulk carriers lost when compared with the longer term improvements recorded since the 1990s,” he told DCI. “This may be a statistical anomaly or it might mark an unfortunate turning point in ship safety which all parties — IMO, ship owners, insurers and industry associations etc — should discuss and work towards rectifying. We simply do not know at this stage ourselves whether this is start of a longer-term downturn. He said Intercargo sees its primary objective as improving bulk carrier safety and he insisted the IMO was providing an excellent platform for debate, helping improve the availability of casualty and quality data which could help reduce risk to vessels and seafarers. One of the greatest criticisms of the maritime industry’s handling of liquefaction casualties and loss of life has been the lack of transparency and urgency around making investigations into accidents publicly available, so that others may take steps to avoid the same fate. Jones said Intercargo had taken a number of initiatives to encourage Flag States to make this information available more speedily through the IMO’s Global Integrated Shipping Information System. More work needs to be done, but Jones said Intercargo continues “to fully support the IMO GISIS database given its importance to relevant parties such as the UK-led Correspondence Group on casualty analysis”. To this end, Intercargo’s latest IMO submission provides owners with plenty of data on the ‘perceived’ cause of casualties over 2004–13 (see table). This revealed that grounding was the most common perceived cause by some distance. Jones said ‘perceived causes’ — rather than actual causes — was used to “stimulate debate without implying certainty of underlying causes in the expectation that any measures which the IMO itself wants to analyse can be done from a prioritization perspective”. He also said that Intercargo’s analysis of ‘Other bulk carrier incidents leading to loss of life in 2013 and 2012’ had revealed some surprising information, most notably that crane operations were ‘perceived’ to have accounted for the loss of five lives in 2013. “Again, we think that responsible owners will want to view this data for possible use within their own risk assessment programmes,” he said, adding that this is now an issue under discussion in the relevant IMO committee and was viewed as a high industry priority. He also said that qualitative data analysis on negative performance indicators on bulk carriers over the last three years points out the perceived underlying causes for incidents remained statistically consistent when viewed over a fixed period. “For example, fire/explosions account for about 6% of all incidents and propulsion problems account for about 20% of the total of known incidents,” said Jones. “Our ‘Summary of Safety Issues’ contains a crude attempt to encourage debate on a possible correlation of casualties with IMO Conventions and their enforcement and the evidence of ‘real world’ statistical data relating to bulk carriers and their operations. “Put at its crudest, we have found that about 5% of bulk carrier incidents could be linked to structural issues, whereas around 12% of actual losses could also be ascribed to this reason. “We also note that nearly 40% of bulk carrier incidents are linked to collisions and groundings, whereas 50% of actual casualties are caused by this. Speaking rhetorically, Jones asked if these findings meant more needs to be done to address bulk carrier structural issues and the safety of navigation, while less effort was needed on enforcement of fire-related issues through Port State Control? He answered: “Well, no, not really, given that the techniques used to produce this report are statistically crude and we haven’t proven any real correlation in a statistical sense. Nor have we addressed the reasons for cause and effect. Long may such admirable efforts continue. As sea transportation continues to be one of the most efficient methods of transporting goods around the globe, increasing focus on methods to improve vessel safety and equipment maintenance is becoming critically important. Maritime ‘incidents’ cost around $1 million a day and whilst most don’t make the headlines, in many cases varying human failures and equipment issues have been reported as contributory factors. The TTS Group ASA have built its reputation around the world for designing, supplying and servicing specialist onboard equipment and systems and is now one of the top three largest suppliers in its specialized market segments with a workforce of over 1,100 people. The Norwegian-headquartered group fully understands the importance of safety and maintenance and has been continually investing in its global Service network to enable customers swift support wherever and whenever they need it. Tarjei Isaksen,VP,TTS Sales and Marketing, Services Division, explains how TTS has been developing its global reach to support customer needs. “TTS is totally focused on increasing our customers’ profitability and competitiveness by improving productivity, quality and system capacity. And of course, the safe and efficient operation of any commercial vessel in operation is critical. Unforeseen problems can arise anywhere so we are continually increasing our global service network to ensure we are close by. Whilst TTS main services are centered around repairs, maintenance and spare parts supply, our portfolio now includes in-voyage repairs, training and technical support, modernization and refurbishment, inspections, surveys, certification and even remote access surveillance and diagnostics on some equipment”. evidenced by their investments in spare parts distribution. In addition to warehouses in Europe and China, a new distribution center has been established in Singapore, supplying vessels in the South East Asia region. As a result, fast moving and critical spares for cranes and winches, as an example, can be delivered quickly directly to the customer. A further spare parts distribution centre is planned for the US in the near future. “We also offer a pre-drydocking inspection service and equipment reports, allowing customers to more effectively plan the service requirements in advance of the vessel going into dry- dock”. BREMERHAVEN — CENTRE OF EXCELLENCE PROVIDING TTS WITH A UNIQUE ADVANTAGE Not all service requirements are ‘off-the-shelf’ and some require a completely bespoke solution. That’s where TTS’s unique service station in Bremerhaven, Germany, really sets the standard. With their own mechanical, hydraulics and electrical workshop, high quality custom-made spares can be manufactured at very short notice. The Bremerhaven centre of excellence also manufactures rubber profiles and stainless steel structures, plus the specialist team provides expert boiler repair and maintenance services. TTS believe this provides a unique advantage, meaning a level of responsiveness that’s hard to equal in the industry, as Isaksen explains, “There’s no room for complacency in this industry. Whilst being competitive is a pre- requisite for operators, safety and efficiency are exceptionally important factors in ensuring their expensive assets remain highly productive. We have built a global after sales service of highly qualified maintenance professionals that operate around the clock, wherever in the world. Our services have been developed through a deep understanding of the critical aspects of customers’ business operations and as such our brand has become widely trusted. Although TTS Services is primarily focused on servicing TTS equipment we are able to assist on other makes of equipment as well. Our specialists have extensive knowledge on cranes, hatch covers, winches, davits, RoRo equipment and sideloading systems,” he concluded. Founded in 1960 and born global,VIKING is a privately held market leader in maritime and fire safety with group headquarters in Denmark and 2,000 employees worldwide. The company provides essential safety and fire-fighting equipment to the following segments: passenger, cargo, offshore, defence, fishing, yachting and fire. Products are manufactured at facilities in Denmark, Norway, Bulgaria and Thailand and include chute and slide-based marine and offshore evacuation and crew transfer systems, liferafts, lifejackets, immersion suits, fire suits, work suits, pilot suits, transportation suits, man overboard (MOB) boats, davits and other life-saving appliances. VIKING’s products are widely used in the bulk handling industry, to safeguard crew in a potentially hazardous environment. Fluctuating world trade volumes, an excess of shipping capacity, competitive freight rates, piracy, and increasingly complex international and flag state regulations have become everyday realities for the shipping industry. Cost savings and predictability are more important than ever — and shipowners need to proceed with care to avoid being locked into an inflexible solution in a changing market. To meet these challenges,VIKING has developed a wide range of safety solutions that offer shipowners greater flexibility to cope with changes in their markets. Underlying these solutions is a steadily expanding global servicing infrastructure designed to remove the burden of administration for shipowners, enabling them to concentrate on the business of shipping. Multi-brand certified servicing, a single point of contact and international regulatory expertise are key elements of this infrastructure. safety products, global servicing, single-source management and financing in a variety of fixed price structures, servicing liferafts, immersion suits and lifejackets, lifeboats, release hooks and davits, and marine firefighting equipment. Immersion and work suits: durable immersion and work suits – available with an extra layer of insulation - exceeding SOLAS regulations, protect against hypothermia. All suits are lightweight and comfortable for constant use, meeting ergonomic standards, making them the preferred choice of crew working in confined, complicated conditions. Lifejackets: made possible by a unique modular design, VIKING customers can tailor their own solutions for specific working conditions encountered in maritime environments with an extensive range of design-your-own inflatable SOLAS lifejackets. Liferafts: VIKING liferafts are available in a standard version and a top of the line automatically self-righting version.The proven self-righting liferafts ensure that no matter how the liferaft inflates in the water it will always right itself ready for boarding. VIKING can supply full ship packages with products and related accessories incl. marine firefighting equipment, cabinets, pyrotechnics, lifebuoys, first aid kits etc. Deciding on marine safety equipment and servicing plans is no easy task. VIKING already manages 1,000 flexible safety servicing agreements for shipowners with some of the largest fleets in the world. It also has the widest choice of fixed price safety solutions and product packages on the market, and uses its expertise to work for its clients’ business. The latest addition to the VIKING portfolio is VIKING Saatsea, which addresses the need of shipowners and operators to continuously train their crew by offering a combined solution that manages planning and implementation of onboard training as well as the documentation. Through the online training system, the crew can complete and register module-based theoretical and practical assignments, with immediate, up-to-date competency assessments for marine and offshore inspections — without administrative hassles. One example, is the mandatory requirement for annual onboard training of all Emergency Rescue and Recovery Vessel (ERRV) crew on vessels operating out of Denmark, Norway and the UK. But more importantly, the system is also designed to manage the coming regulatory requirements for documentation of STCW refresher courses for all IMO vessels. Cargo Care Solutions delivers hatch cover spare parts to operators globally. It produces safe, reliable and quality proven parts which can be used as spare parts when maintenance is required. Cargo Care Solutions’ experts used to be part of companies that are the original makers of hatch covers, so they have the expertise to produce parts that are of the same high quality as the originals. An independent service provider since 2010, the company supplies parts for different makers and is able to offer one solution for an operator’s fleet. While Cargo Care Solutions is not involved in the newbuilding of hatch cover systems, it does offer conversion or modernization to clients that wish to change their existings systems. Major clients are shipowners, ship managers and ship chandlers, trading companies and shipyards. Cargo Care Solutions aims to deliver a cost-effective price, without compromising on quality. What sets it apart from its competitors is the depth of knowledge of its staff and expertise on all kinds of cargo access equipment. It offers parts and services for all brands of equipment, making it a one-stop-shop solution which is much appreciated by its customers. It also has short lead times for spare parts, and is available to its clients 24 hours a day. This, the company believes, is vital in the marine industry — especially in terms of the equipment it services, which is essential for a vessel’s operations. A global service, and presence in key positions worldwide, means that Cargo Care Solutions is available to its clients when it is needed, and can meet their needs. The company regularly flies people and parts out all over the world. It currently has operations in Denmark,The Netherlands, Germany, Singapore and the USA which are good strategic catchment zones for its clients. It also offers direct deliveries from its warehouse in China. Should its client base alter, then the company is more than willing to open more operations in different locations to meet their demands. Bulk vessel loss is often attributable to water ingress, which can be through leaking hatch covers, back-flow through bilge systems or ballast tanks, including impact damage on structures, leaking manhole lids and inadequate monitoring. Cargo Care Solutions is therefore focused on how its customers can ensure that cargo access systems are weathertight, as this can prevent bulk vessel loss. Better maintenance and higher standards are key to saving shipowners a lot of money in the long term. hatch cover. The UltraPad can be used as a replacement for traditional Bronze Teflon type support pads. The company’s improved locking pin provides better securing of the UltraPad compared to pins with a standard thread. The head of the locking pin ensures better grip making mounting of the UltraPad faster. The UltraPad provides customers with the lowest wear rate available and improves support pad lifetime and lowers hatch cover maintenance. Cargo Care Solutions can also offer tailor made programmes to help keep hatch covers in good condition. It has also developed an innovative and exciting new emergency seal which will act as a replacement for hatch cover tape. Rubber tape is often used to seal the hatch covers when they are leaking. The shipyard will then put extra tape over the cross joints where the two covers meet to make it extra sturdy and safe. Unfortunately, though, the tape can only be used once and leaves residue. Cargo Care Solutions’ emergency seal is marginally more expensive than the hatch cover tape but it can be used multiple times and it also leaves no residue. Accountability is key, and Cargo Care Solutions ensures that it provides a detailed maintenance report to its customers. During a pre-docking inspection, it compiles a full pre-docking inspection report which shows the state of the cargo access equipment, issues found, actions needed to rectify the issues and general recommendations for maintenance. Everything is recorded, with accompanying pictures. Cargo Care Solutions also creates a proposal for spare parts needed, including the time required and the manpower and skills necessary to complete the jobs. It sends the document to the owner and discusses it, and can project manage the entire process by assisting from the inspection all the way through to doing the actual repairs on the yard. The company’s engineers are trained and certified to test the weather tightness of the hatch covers with the class approved ultrasonic equipment made by SDT. Regular inspections can keep cargo access equipment in tip top shape and can reduce the overall maintenance cost of equipment during a vessel’s lifetime. Introduction to bulk carriers and Liquefying cargoes are the first in a series of ten new titles Seagull is releasing this year and in 2015, each covering crucial aspects of bulk shipping operations. Introduction to bulk carriers is directed at deck, STCW (Standards of Training, Certification and Watchkeeping) operational level and assists the learner in identifying bulk, ore and combination carriers, commonly used classifications, and the typical types of cargo carried by these vessels. It helps the learner recognize the key commercial aspects of the bulk carrier trade and identify the uses of equipment specific to these vessel types and relevant safety issues. Liquefying cargoes addresses the dangers of carrying cargoes that might liquefy during the voyage, make the ship unstable and lead to the possible loss of the ship, cargo and crew. Cargo liquefaction has resulted in severe loss of crew life in recent years. The module is directed at deck, STCW and operational staff and it assists the learner in recognizing the particular hazards and precautions associated with the carriage of IMSBC Code Group A cargoes (cargoes which may liquefy). “Intercargo has described nickel ore as the world’s most dangerous and the liquefaction of nickel ore cargoes during transport was responsible for the loss of 66 lives in South East Asia from 2009 to 2011 alone,” says Roger Ringstad, Seagull managing director. In addition to the two modules on bulk carriers, Seagull has made a significant contribution to the understanding of risks in the offshore industry with three new titles, Working at height, Anchor handling operation and GOMO (Guidelines for Offshore Marine Operations) awareness. Working at height covers how to access elevated working places safely and the correct use of a waist belt safety harness and a full body safety harness when attached to a fall restraint or a fall arrest system. The module examines the use of cranes to transfer personnel between a vessel and installation and features high rescue techniques used for a disabled or unconscious person. This module is aimed at deck/engine STCW operational and support level personnel. Anchor handling operation uses video recorded on an anchor handler blended with sound and additional images to achieve the learning objectives. It shows the vessel preparing in port and sailing to the rig location. The anchor is seen being received from the rig and decked to disconnect it from the chain which is then stowed in the vessel’s anchor bins. With the required amount of chain stowed, the chain is broken to add a buoyed wire insert to clear a sub-sea obstruction. Once this is completed the final operation of re-connecting the anchor and deploying it using a buoy pennant is seen. As with the Working at height module, Anchor handling operation is directed at deck/engine STCW operational and support level personnel. The objective of GOMO awareness is to provide guidance to the best practices to promote the safety on board all vessels servicing and supporting offshore facilities, and to reduce the risks associated with such operations including accidents and pollution incidents. The module identifies the crucial role of good communications for safe operations and also the action to be undertaken when an operation is not covered by GOMO Guidelines. This module is directed at all personnel involved in safety onboard ship. Seagull has also released a number of modules covering a variety of topics including piracy and armed robbery, anchor handling, leadership and communication for maritime leaders, green passport (inventory of hazardous materials), engineering in cold environments and recovery of persons from water. “Our continually expanding series of modules dedicated to the many various disciplines of the international maritime industry underscore our commitment to helping users achieve best practice and maintain safe and environmentally-friendly operations,” says Ringstad. Seagull AS is the leading provider of e-learning for the marine industry offering a comprehensive library of more than 200 titles for regulatory compliance and improved seafarer knowledge. Its STCW and ISM (International Safety Management) code compliant training is used by more than 350,000 seafarers every year on board 9000 ship and offices worldwide and it has issued over 50,000 approved onboard course certificates, making it the world’s largest educational institution in the maritime industry. Founded in 1996 by experienced mariners, it has grown into a financially solid and dynamic company in partnership with leading shipping companies and ship managers to deliver a full range of assessment and management tools that ensure meeting and exceeding statutory requirements from IMO and other industry bodies. Seagull’s mission is to enhance maritime competence by effective training and assessment solutions and deliver value through quality and excellence in customer service. Shipowners and operators are reaping the benefits of the Wilhelmsen Ships Service Welding Safety Campaign, which highlights the need for safe equipment and working practices, together with quality training onboard ship. The campaign comprises inspections of onboard equipment to provide help and guidance to shipowners in complying with local and national standards and promoting crew competence. Working with leading shipowners and managers,WSS has completed dozens of onboard inspections and produced reports that enable superintendents and crew to practise safe and efficient welding. The following are a selection of the comments received. “The inspections have been very valuable to us as a general assessment of equipment on board and also to bring awareness to our crew on risks involved for user and equipment.The recommendations are valuable and we now have a good and documented understanding of which specifications on what machines to look for.” Superintendent, Dredging International. “The inspection report is really comprehensive and has been forwarded to the vessel for action on improving the safety of the on- board welding installation in near future. Our crews have a very busy work schedule but at the end of the day, they understand that properly maintained and safe installation can prevent them from being injured.” Milan Smrcek, TMA Monaco. Danny Ingemann,WSS Business Director, Marine Products says the response from owners validates the need to raise awareness among crews of the need for safe practice and high-quality equipment when carrying out welding. The core welding safety offer combines upgraded versions of Unitor-branded welding equipment, the provision of tailored solution packages, safety inspection services and improved logistics for fast and flexible supply of hardware and consumables. Additional training from WSS’ marine products specialists will be teamed with improved customer service throughout the WSS global network. WSS has produced a White Paper discussing the concept behind the Welding Safety Campaign and how WSS is supporting owners in improving welding practices onboard ship. Wilhelmsen Ships Service is part of Wilhelmsen Maritime Services, a Wilh.Wilhelmsen group company. It has the world’s largest maritime services network, with 4,500 marine professionals servicing 2,200 ports in 125 countries. Wilhelmsen Ships Service supplies safety products and services, Unitor products, Unicool refrigerants, Unitor and Nalfleet marine chemicals, maritime logistics and ships agency to the maritime industry. Last year the company made product deliveries to 24,000 vessels and handled 67, 000 port calls. Over the next decade, the bulk carrier industry is likely to experience significant change. With rising public concerns putting pressure on regulators and the growing cost of bunker fuel, owners will increasingly focus on energy efficiency and compliance with stricter requirements as to emissions to air and water. Managing these issues will encourage bulk carrier owners and operators to adopt new technologies that will have a lasting impact on the design, construction and operation of bulk carriers. At Marintec in Shanghai, China, DNV GL and Shanghai Merchant Ship Design & Research Institute (SDARI) introduced the Green Dolphin 575 concept design for a Handymax bulk carrier. This is the second Green Dolphin design and builds on the success of the Handysize Green Dolphin 38. It uses technologies that are already available for commercial use, so it can meet ship owners’ current needs in tight market conditions.The first order has already been placed with a Chinese shipyard. Handymax bulk carrier with five cargo holds. It is available in single-hull standard or double-hull (open hatch) configurations. Backed up by SDARI and DNV GL’s long history and experience within the bulk carrier segment, the choice of ship size is based on extensive market analysis together with input from many ship owners and ship operators. Ship-owner and ship-operator input has also been considered when selecting design characteristics and design options. Like the Green Dolphin 38, the Green Dolphin 575 aims to offer maximum operational safety, be fuel- and energy-efficient, robust and reliable, operationally flexible and able to meet current and future environmental regulations. New for this project is that the hull’s performance in waves has been addressed through model testing and numerical calculations of the added resistance in a given trade route. An operating profile consisting of full load and ballast conditions at service and slow-steaming speeds was evaluated. Ship hulls have traditionally been designed for optimal performance in calm waters. In a realistic seagoing condition, however, ships will be exposed to additional forces resulting in motions and added resistance that will influence the ship speed and fuel consumption. The magnitude of added resistance for a bulk carrier can typically be up to 20% of the calm water resistance on average. The aim should always be to design a hull that performs well in both calm waters and waves. Driven by today’s strong market competition, there is more and more interest in assessing the added resistance in waves. The numerical evaluation of added resistance is, however, still considered challenging in the industry. DNV GL is involved in many added resistance initiatives and has extensive experience of using different tools, including advanced Computational Fluid Dynamics (CFD). Recently, two DNV GL in-house potential codes for added resistance analysis, SEAROS and GL Rankine, have been developed and validated through research and development and commercial projects. Both SEAROS and GL Rankine are fully three-dimensional programmes using state-of- the-art boundary element methods. The Green Dolphin 575 was one of the projects where added resistance in waves has been evaluated in the early design phases. Here, the added resistance was calculated using SEAROS and the performance was compared to the existing SDARI Dolphin 57 design, which has similar main dimensions. designs were compared along a typical triangular Handymax trade route. The averaged added resistance was first calculated for any possible sea state, followed by a calculation for all three legs in the trade route by implementing tailor-made omni-directional scatter diagrams. For the entire trade route, the new Green Dolphin 575 was shown to have a 14–17% reduction in added resistance compared to the Dolphin 57 design. The above procedure may easily be integrated into the hull design loop, enabling ship hulls to be optimized for more realistic conditions according to an intended trade route. The engine configuration and emission reduction technologies have been carefully evaluated. The Green Dolphin 575 is fitted with an efficient Tier II long-stroke low-speed main engine and a large-diameter slow- rotating propeller. It is further designed to comply with current and future expected local and global emission regulations, such as those relevant for IMO Tier III, Emission Control Areas (ECAs) and California and EU ports, through different alternatives: a switch to low-sulphur fuels, the installation of exhaust-gas cleaning systems or dual-fuel operation with LNG. Mark Jones, sales director of PSM looks at the potential hazards posed by liquefaction for bulk carriers and considers how modern technology can help not only to ensure regulatory compliance but also deliver operational benefits. Recently passed, the 100th anniversary of the loss of the Titanic, an event which changed maritime history forever. Beyond the staggering loss of human lives and implications for ship design, the disaster pointed out sharply the necessity for proper safety procedures and their potential to avert a crisis. Out of this recognition was born the Safety of Life at Sea (SOLAS) Treaty. Almost 100 years on, the treaty remains largely unchanged in respect of regulations governing passenger ships. In 1974 however, a major amendment was implemented introducing new regulations aimed at providing added protection for bulk carrier ships constructed to carry dry cargo — for example, metal and mineral ore — against the risk of liquefaction. Liquefaction refers to the process by which saturated, unconsolidated metal ores are transformed into a substance that acts like a liquid. Left undetected, the presence of liquid may lead to disastrous consequences. SOLAS X11 Regulation 12 required all bulk carriers to be fitted with water ingress and detection systems (WIAS) to provide advance warning of water layer formation in the bottom of cargo holds, a state widely acknowledged as being an early stage of liquefaction. Subsequently in 1999, the regulations were extended (SOLAS Chapter 11–1) to include single-hold cargo ships and void spaces to ensure the protection of smaller cargo vessels. In addition to the requirement to install WIAS equipment in new ships, vessels currently in service are required to undergo periodic port inspections to ensure their WIAS systems are functioning adequately. There are estimated to be as many as 500 bulk carriers in service today, with new vessels coming on stream all the time. The earliest detection systems developed to meet the new WIAS requirements were poorly conceived, due to a lack of knowledge at that time about the severe service demands likely to be placed upon them in use. This has led to an emerging problem with performance issues and even system failures. Many vessel owners now also face legacy issues relating to service and spares, with some manufacturers since having left the market altogether. 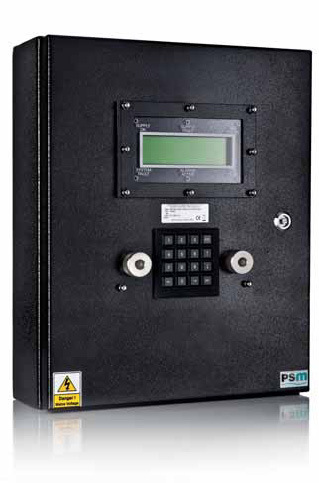 The requirement for a more robust and reliable system has been the key driver for PSM in developing its BulkSafe water ingress detection and alarm system. Representing the vanguard of WIAS technology, BulkSafe has been proven to detect the presence of water in bulk carriers and has been designed to ensure full compliance with the latest SOLAS regulations for bulk carriers. This new technology has found wide acceptance amongst shipyards and designers as a low-cost solution which is easy to install. As a retrofit solution, there are also considerable financial advantages. With many bulkers approaching the age where major refit and overhaul becomes a consideration, the latest systems offer an easy way to update obsolete or malfunctioning WIAS systems, often at a lower cost than repairing the existing configuration. The latest systems offer maximum flexibility and ease of fitting for both new and retrofit applications, with a full range of mechanical and electrical installation options facilitating integration with other systems and allowing existing components e.g. clamps and conduits to be re-used. With no moving parts that will wear or foul with damp cargo, today’s solutions offer proven reliability in use with fewer maintenance requirements. Unlike systems based on mechanical switches and floats, PSM’s modern water ingress detection and alarm systems use self-checking, active sensors to monitor cargo holds, triggering an alarm if water is detected. PSM’s BulkSafe system additionally features a ‘check from deck’ facility which allows mandatory Inspections to be completed with the cargo holds full or empty. Reducing the time spent in port clearance procedures can help improve fleet efficiency while maximizing available cargo capacity. A high safety integrity level is assured through the use of hydrostatic level transmitters with a ‘live zero’ function. Both features are designed to enable comprehensive testing of the ship’s systems by the ship’s Cargo Master prior to loading to ensure everything is in order. protect staff in the event of an incident and to provide documented evidence in the event of an incident. PSM’s BulkSafe application provides a solution in the form of an RS485 serial communications output which connects to the ship’s voyage data recorder to provide a permanent and secure record that can be analysed offline. Whilst the primary function of BulkSafe and similar systems is safety, the benefits of adopting the latest technology are clear. Installing modern systems of this type offer rapid payback in terms of cost savings and operational efficiency through the entire vessel. Advances in technology combined with the specialist instrumentation experience of suppliers like PSM has brought such systems within reach of ship owners and operators, making them a practical alternative to repair. Established for over 30 years, PSM Instrumentation is a specialist in the design, manufacture and supply of advanced marine control instrumentation and marine protection systems for the marine transportation industry. PSM offers a range of application solutions for designers, ship builders and end-users, to ensure vessels operate efficiently and reliably and are compliant with legal, safety and environmental regulations. PSM products carry all required type approvals from the main leading marine societies, in addition to many country specific approval standards. PSM are approved to BS EN ISO 9001:2000. Despite technological advances in shipbuilding, sea water ingress is one of the major sources of damage to cargo, resulting in expensive insurance claims and threatening the safety of the ship and crew. With the vast majority of P&I Clubs now stating that ultrasonic is the preferred method of testing hatch cover integrity, hundreds of marine surveyors around the world are now choosing to keep this type of equipment in their inventory. P&I Clubs and surveyors are well aware of how ineffective hose testing can be, since water ingress that is visible from inside the hold may not appear at the point of the defective seal, whereas ultrasonic hatch testers can pinpoint the exact location. A traditional hose test involves testing the hatches prior to loading to ensure the vessel is cargo worthy, which results in large volumes of water needing to be cleared from the deck hold and hatch covers before the cargo can be loaded. This is time consuming and prevents other vessel activities, whereas ultrasonic testing does not interfere with any other ship operation which saves time and money. Environmentally, another factor to consider when evaluating hose testing, is that due to the unavoidable pollution caused via this method, it is often not an option due to various country or port regulations. Cargo holds, as well as being the revenue-earning spaces of the vessel, are also the areas subject to the harshest of operating environments; without adequate protection they can suffer damage, significantly impacting the safety and profitability of the vessel. Various forms of impact, abrasion and mechanical damage occur from the loading and carriage of dry cargoes. Notable problems include gouging as a result of cargo ‘settlement’ during sailing, which can cause severe damage at the cargo/coating interface, and ‘shooting damage’ which dry bulk vessels are increasingly experiencing following the introduction of high- speed belt conveyors at major ports. High-speed conveyor belt loading may provide quick and efficient loading of cargo such as coal and iron ore; however, to achieve these benefits, the cargo is ‘sprayed’ at hold coatings, causing an abrasive impact likened to grit blasting. This loading technique has the potential to severely limit the lifespan of cargo coatings, causing coating detachment, exposure of steel and corrosion in worst-case scenarios. In response to the increasing utilization of conveyor belt loading, AkzoNobel’s Marine Coatings business, International® spent several years developing an internal test method to stimulate the effect of shooting damage in cargo holds during loading. The data from the results culminated in the launch of Intershield®803Plus, specifically developed to offer improved resistance to impact damage from high- speed loading equipment and aggressive cargoes in cargo holds. In addition to providing protection against corrosion caused by cargo abrasion and shooting damage, Intershield®803Plus has a number of key benefits including: preservation of cargo hold integrity and promotion of asset protection, reduced downtime and maintenance spend, rapid curing, enabling fast return to service, high gloss for easy cleaning, low temperature application, high volume solids and FDA compliance. Intershield®803Plus is part of a range of International® cargo hold coatings that meet all operator requirements in the very demanding and competitive market. The range includes Interbond 201, a surface tolerant, modified epoxy, cargo hold coating with a long in service history, new Intergard 7020 and Intershield 803, an abrasion- resistant pure epoxy coating with an excellent track record. Intergard 7020 is the newest product to the range offering a dedicated cargo hold coating for all bulk carrier types. Specially designed for operators who don’t need or cannot justify the protection afforded by the very best technology, it offers good abrasion resistance and long- term corrosion protection combined with many of the features normally associated with more expensive products. Available in red and grey, Intergard 7020 is an aluminium- containing, low-VOC, pure epoxy coating that can be applied to surfaces prepared to a minimum of Sa2.Applicable at temperatures between –5°C and +35°C, it has a smooth, glossy, easy-clean surface, is grain certified and is ready to carry even the harshest cargoes after only ten days’ cure. While the highest safety and maintenance standards are key factors for dry bulk carriers, the sector is not immune to the issues of the continued pressures to increase operational efficiencies, reduce rising fuel costs, as well as improve their sustainability. All in an industry, which continues to suffer from a lack of liquidity and capital. To support ship owners with these challenges, in April 2014 International® andTheGoldStandardFoundation,announcedthe development of the first marine-based methodology for generating carbon credits within the shipping industry. Carbon credits are financial units of measurement where one credit represents the removal of a tonne of carbon dioxide equivalent from the atmosphere. They were created to provide ship owners and operators with a tangible incentive to invest in clean technologies through the generation of revenue by reducing greenhouse gas emissions. Credits can be traded on the carbon markets in the same way as stocks and shares and therefore have intrinsic value. The methodology is based on ship owners and operators converting existing vessels from a biocidal antifouling system to a premium, biocide-free advanced hull coating such as International® ’s Intersleek®. A baseline emission level is determined for the vessel prior to the application of Intersleek® with the same data source then used to determine the emission savings after the application of Intersleek®. The carbon credits generated are directly related to reduced emissions as a result of reduced fuel consumption. International® spent more than two years developing the carbon credits methodology as part of its research into making eco-efficiency technologies more accessible for the wider shipping industry and providing tangible incentives for ship owners and operators to invest. The company developed the methodology with The Gold Standard Foundation because it is the highest quality and most trusted carbon certification standard with rigorous sustainability benchmarks. The new carbon credit scheme is not only a first for shipping, but it is also a first in the global transportation business. It is the only carbon credit generating methodology that has been approved for assets that move — in other words, ships — across national boundaries. Other carbon credit initiatives, already established, fall within national jurisdictions. This significant landmark for sustainability within international shipping will act as a further incentive to drive an increase in the uptake of eco-efficient technologies, as ship owners and operators can benefit twice when they invest in Intersleek® technology. Firstly, they can increase operational, environmental and energy efficiencies, which reduces fuel costs and emissions and then they can reap the additional financial benefits of carbon credits, which International® will share with them. International® also handles all the administrative requirements, so customers don’t have to invest time, capital or resource in generating the carbon credits. Following the public launch of the programme in April 2014 several International® customers are already going through the process of unlocking their carbon credits, with the first expected to be available at the start of 2015. There is effectively money already available for many owners and operator that is currently being generated by the Intersleek® technology that coats their vessels. In fact, based on the 100 existing ships already converted from a biocidal antifouling to Intersleek® there is an estimated $3.6m worth of carbon credits potentially available to ship owners and operators. UPDATING THE APPROACH TO MARITIME RISK MANAGEMENT AND EFFICIENCY It’s unfortunate that something has to go terribly wrong before industry is driven to establish or improve standards, writes Warwick Norman. The loss of 1,503 lives in the Titanic in 1912 led to the Convention of Safety of Life at Sea (SOLAS) in 1914, and current day best practice draws its origins from the Torrey Canyon oil spill in 1967. Thankfully the maritime industry and the general availability of information have changed considerably since the 1960s. More recently, rapid fleet expansion means more and more ships satisfy the minimum compliance burden, and so too selection practices can evolve to consider other factors and deliver more meaningful outcomes. However traditional marine assurance practices focus on ensuring compliance with minimum standards. Today’s compliance focus personifies complacency, and risk management systems which rely solely on compliance have plateaued in their usefulness. Forward thinking companies who contemplate a broader definition of safety and suitability in vessel selection will realize significant advantages in efficiency, sustainability and (the ultimate game-changer) also economically. Next generation vetting: harnessing ‘big data’ for predictive analysis ‘Big data’ refers to information that can’t be processed or analysed using traditional methods and tools. In the context of risk management, it means that the systems developed in 2000 — which are structured around relational databases — are no longer appropriate to manage the volume, variety and velocity of information now available. They are simply not able to intelligently integrate and process all the information — or data — we have today, and so cannot use it to enhance decision-making. It is in 2014 that big data goes mainstream. Organizations that don’t invest in this will be at a competitive disadvantage. In 2013 alone RightShip tracked around 71,000 vessels. Records show that there were 1,777 casualties in 2013, so there is a 98% chance of not having an accident — a testament to the quality of the industry. However when things go wrong, they can go very wrong; and this underlines the importance of a solid vetting programme. Harnessing existing analytics with new factors such as the predictive importance of Port State Control, engine maintenance, ship scantling configurations, mooring and rope materials as well as the human element — all of which contribute variously depending on the interaction — have enabled us to develop a new system, Qi, that will now predict three quarters of casualties. A lot of work in recent years has focused on engine design and hull form optimization, but no research has tried to quantify and optimize the human element. Since 2008 we have seen a record delivery of ships, but not an equivalent delivery of people to man them: in fact there has been a push to reduce crew numbers. So we have a situation where we have more ships, but fewer people to run them. In the tanker industry minimum standards of experience (as a proxy for competency) are understood and utilized through the ‘Crew Experience Matrix’: in theory, everyone with a Master’s ticket is equally qualified. However this standard is not carried through to the bulk industry. Market pricing of a vessel is calculated on speed and consumption — the calibre of the crew doesn’t factor in the costing model. RightShip has done some preliminary work in quantifying the human element in bulk carriers, developing an understanding of the nexus between crew experience and performance. The calibre and quality of a crew plays a big part in optimizing ship performance; so the same ship with a difference crew will perform very differently. Our analytics tells us that — for up to ten years — each additional year of experience of the Master results in a productivity gain of 22 minutes at the terminal. This information can be provided in terms of time at the terminal, or tonnes per hour. According to the UK’s Marine Coastguard Agency, 80% of casualties at sea are a result of human error. So we know that having an experienced crew enhances both safety and efficiency. Moving beyond compliance will enable charterers to select a safer, more efficient vessel and crew, and encourage owners to invest in people and assets. Early movers who take advantage of this intelligence and include minimum crew experience into their vessel selection will be able to do so without a cost premium attached — although it’s only a matter of time before the market catches up. Since inception in 2001 RightShip has helped to significantly improve global marine safety standards. RightShip is focused on helping industry avoid preventable incidents, whilst reducing the carbon dioxide emissions emitted by the world marine fleet. We do this by condensing information, providing rapid and consistent analysis and advice, monitoring and complying with international standards, and bringing expert support and advice to our 240 customers and wider industry partnerships. RightShip was formed to improve dry bulk safety and quality standards, drawing on the significant ship vetting expertise of global commodity companies, BHP Billiton and Rio Tinto. As major charterers and shippers, the founding businesses had developed vetting systems to manage their own marine risk. RightShip combined their expertise and resources to develop theShipVettingInformationSystemTM (SVISTM),acomprehensive risk management tool. In 2006 international food, agriculture and risk management company Cargill joined as an equal equity partner. RightShip currently maintains ISO 9001 & ISO 27001 certification and was awarded the 2013 Australian Prime Minister’s Exporter of the Year. RightShip’s risk management tool is utilized by over 6,000 users and supported 24/7 by from RightShip’s offices in Houston, London & Melbourne. Qi (pronounced ‘key’) — an acronym for Quality Index — is the new RightShip risk management platform. Qi builds upon the incumbent system SVISTM by embracing big data, predictive analytics and real time risk assessments to better target substandard marine performance and optimize safety. Qi will be used by RightShip subscribers from late 2014. Liquefaction of bulk ores has been identified as the root cause behind the loss at sea of five vessels and 80 lives in recent years. While all these cases have involved cargoes of nickel ore, there is a growing concern that other bulk cargos including coal have the properties to cause liquefaction-related incidents. There is therefore a pressing need for better understanding of how different cargoes influence the phenomenon. Phil Thompson, BMT Group Sector Director for Transport, outlines the problem of liquefaction and discusses how better understanding of the problem has led to improved risk mitigation strategies that can help deliver far greater levels of confidence and safety. In recent years there has been a spate of bulk carrier-related casualties that have involved vessels either sinking or experiencing significant stability problems.There were 35 bulk carrier losses between 2010 and 2013 with the loss of 100 crew members. At least seven of the losses were due to liquefaction of the cargo. Within an infamous period of 39 days in 2010, three bulk carriers sank and 44 seafarers lost their lives. All three vessels involved were carrying bulk mineral ore and the liquefaction of the cargoes with the resulting free surface effects and loss of stability was identified as the root cause. So far this year there have been two losses but they were unrelated to cargo matters and mercifully, no crew members were killed. Jian Fu Star, Nasco Diamond, Hong Wei, Harita Bauxite and Trans Summer were reportedly carrying nickel ore, loaded in the same country and were bound for China to deliver the cargo for use in the steel industry. Similar incidents have occurred in previous years with iron and nickel ore cargoes from India,The Philippines and Indonesia. The cause of cargo liquefaction is not a new problem. Current regulations therefore reflect this in terms of transport, loading and shipping. The International Convention for the Safety of Life at Sea (SOLAS) provides general guidance on the carriage of all cargo types including dangerous cargoes. The International Maritime Solid Bulk Cargoes (IMSBC) Code which became mandatory on 1 January 2011, and was subsequently amended on 1 January 2013, provides specific requirements for the carriage of a range of bulk cargoes. The International Group of P&I clubs and the Association of Dry Cargo Ship owners (INTERCARGO) were both instrumental in ensuring that the International Maritime Organization (IMO) Maritime Safety Committee (MSC) was made aware of the risks associated with liquefaction. The result is that the shipper is obliged to provide information on the cargo in advance and the Master of the vessel is entitled to refuse the cargo if the certification is not adequate or if, he/she is not happy with the information provided. The IMSBC code specifies that Group A bulk cargoes that are liable to succumb to liquefaction must be accompanied by a certificate specifying the transportable moisture limit (TML), which is calculated as 90% of the flow moisture point (FMP). The reality of complying with this is that each cargo to be loaded should be subject to sampling and testing to identify key physical properties in a controlled environment such as a testing laboratory. Clearly for a long term solution, it is better to treat the cause (cargo with too high a moisture level) rather than the symptoms (a dramatic loss of stability), but there is an incumbent responsibility to mitigate the risk whenever reasonably possible in order to ensure safe ship operations. Although many of these ships are well into their service lives, there is a responsibility from a naval architecture perspective to implement operational improvements as well as validating the initial vessel design. a better understanding of cargo characteristics: focused by a desire to maintain Australia’s excellent safety record in exporting coal, the Australian Coal Industry’s Research Program (ACARP) and the Minerals Council of Australia has funded a substantial R&D effort through Project C24001 Transportable Moisture Limit for Coal. According to the Bureau of Resources and Energy Economics, Australia exported approximately 1.5 billion tonnes of black coal in the five years leading to 2012/2013 using the appropriate schedule previously contained in the BC Code and, from 1 January 2011, using the appropriate schedule contained in the IMSBC Code. This new project has been designed to develop fundamental understandings of coal cargo stability during shipping, including the potential for cargo liquefaction, and to use this knowledge to determine how best to assess the behaviour of coal cargoes during shipping. The ACARP project is investigating the behaviour of <50mm coal cargoes because this is the material sizing of typical Australian exported black coals. In cases where Australian- shipped black coal products are shown to have the potential to liquefy, the ACARP project will identify opportunities to modify the three existing Transportable Moisture Limit (TML) test methods specified in the IMSBC code, to ensure applicability to <50 mm coal products.The project will also investigate the potential for a new TML test. The outcomes will be compared to measurements using the cyclic tri-axial test used in soil mechanics studies to assess applicability. a better understanding of stability: ships’ crew’s are taught ship stability as it is critical to their safety, but how many really understand the implications of free surface effects? It is the author’s view that a more rigorous programme of improving the understanding of ship stability and free surface would help. With the focus on the risk of free surface effects, the crew should be able to make the decision not to accept a cargo if they are concerned about its tendency to liquefy. This programme needs to be industry wide, worldwide and led by ‘Class’, P&I Clubs and nautical colleges. hold pumping systems: there are bulk carriers that trade loading slurries or water/mineral mixtures. The cargo is loaded and then the water is distilled down through the hold and pumped out to leave a dry cargo. It does not remove the free surface effect altogether but provides a means of removing the water once loaded. However it is not without its problems as evidenced by the Taharoa Express incident in New Zealand, June 2007.